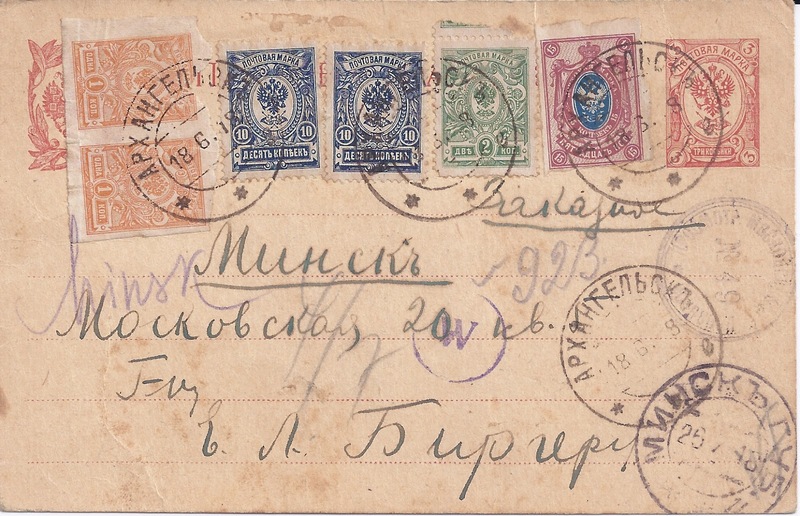 There are probably many postal history collectors who pick out Registered postcards from dealers' boxes. They are not common and they are often interesting. The one above is very interesting. 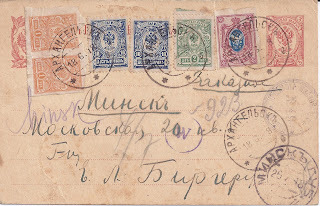 Despatched from ARCHANGELSK 18 6 18 it is franked to 42 kopecks which, according to Epstein's table of Tariffs, is the correct RSFSR Foreign Registered postcard rate introduced in March 1918. 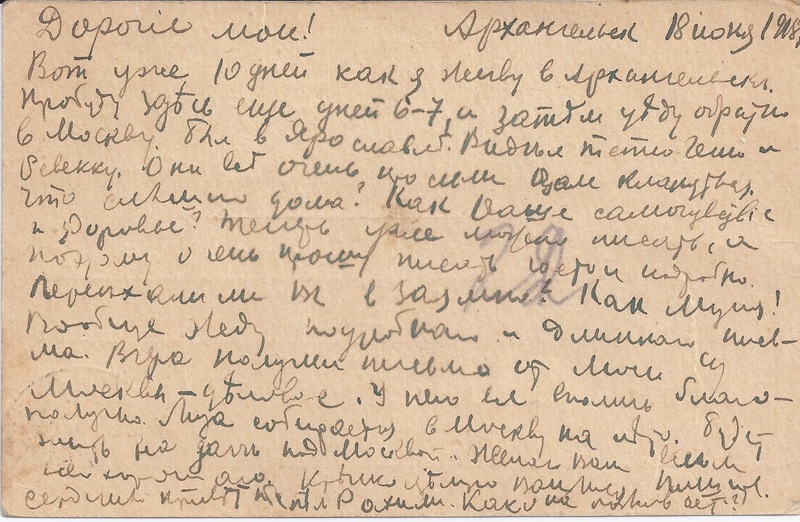 The word "Zakaznoe" is written in ink below the stamps and below it, in pencil, is the Registration number 923. 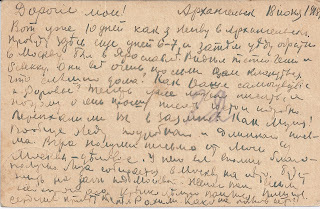 The card is addressed to Minsk. It has travelled straight down the railway from Archangelsk through Vologda and Yaroslavl to end up in Moscow, where it has been censored - see the circular violet cachet to the right. It has then travelled on to Minsk where an ordinary Cyrillic receiver cancellation (bottom right) indicates its arrival on 25 7 18. However, Belarus was at this time under German occupation (accepted by Russia in the Treaty of Brest - Litovsk of March 1918) and in the middle of the card there is a German censor mark, a W in a circle. On the left, some (German) postal official has written "Minsk" in Roman next to the Minsk in Cyrillic. By the time this card arrived, Archangel was under British Occupation - they entered the town at the beginning of July. The sender may have known he needed to send this card before it was too late. If anyone wants to attempt a translation of the message in the Comments box below, they are welcome to try.